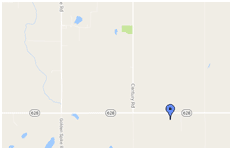 Lewis Farms was founded by Ernie & Ellis Lewis in the Winterburn area west of Edmonton in 1932. Since its expansion in the 1970s, it has grown into a large farming operation that ranges from Spruce Grove to Sangudo. 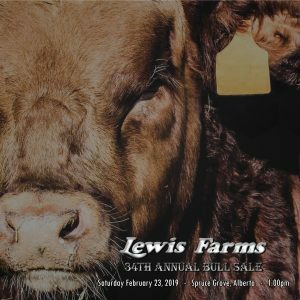 With a large family and staff, Lewis Farms grows 400 acres of seed potatoes, 3,000 acres of grain and run 1000 purebred Simmental and Angus cows. Lewis Farms is evolving with every generation working together on the farm to keep quality genetics as their foundation. Click below for the Catalogue! Feel free to come view the bulls anytime prior to the sale!